How Do You Sum Up a Nonprofit Online? 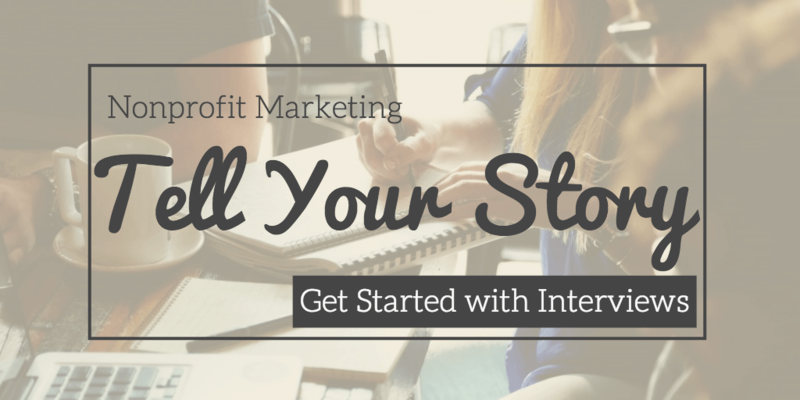 If you are a nonprofit, it is likely that your organization has a pretty profound story to tell. You started with a single mission, and it’s grown and evolved through time. This rich history has been filled with impactful experiences, wonderful people, and progress – all of which accumulates into your story. So how do you explain ALL of that on your site and social media, engaging donors, volunteers and your community? The big question: how do you sum up a nonprofit online? A common predicament we see with the online presence of many of nonprofits is that they try to tell all of this history on their site, often leaving their message far less poignant and losing website traffic in the process. In order to capture and convert new volunteers and donors, nonprofits must say something clear and powerful that resonates with a web user right from the start. That’s a lot of pressure, but there is an effective way to nail down your message. Our words of wisdom: Get an outsider’s perspective. This will help in seeing all of your nonprofit’s information through fresh eyes. The third party can see what stands out about your organization and what information should be your focus. Who? But who do you ask and how do they proceed? Have a third-party service (like ArcStone) set up interviews with you, your coworkers, volunteers, funders and the users of your service. In these, they can ask what each individual thinks about your organization and what personally matters to them. If you can’t afford to hire a professional, perhaps consider finding a volunteer that is uninvolved in your nonprofit to conduct the interviews. They can glean what is most important from all of these perspectives without being tainted by their own biases. Your interviewees will be better able to tell the full story and give their honest opinion, not worried about offending anyone. In this way, they will likely provide more useful feedback for how to update your site. Why are you involved with this nonprofit? What inspired you about it in the first place? What makes this nonprofit stand out to you over other similar nonprofits? Where do you go to find information online? What social media platforms do you use? What are a few of your least favorite parts about the website? Where your users are coming from and where on your website they spend the most time. What keywords to focus on and what phrasing resonates with users. What content is trending on social media and how you might generate your own content around these subjects (in effect, driving more traffic from social media/blogs to your site). A good place to start editing is your homepage. Take a step back and look at it as if you were a first-time visitor. What imagery do they see, what are the first words they read, and what would their initial impression be? Does this align with your new data regarding what people actually want to see? Next go through your mission statement. Does it emphasize the right pieces of information or does it say too much? Scroll through your site as if you were that first-time viewer again, analyzing what you would click on vs. what you would never see. Make sure you have quality CTAs that actually move visitors through the process you want. It should be easy to find a “donate now” landing page or a “sign up” for the newsletter option, and if content is important but hard to find, rearrange it to make it accessible from the homepage. If you are interested in help with this huge undertaking, contact ArcStone and they can help you set up and conduct the interviews, analyze your data, form a strategy, and even create the appropriate content.